Such cute pix. 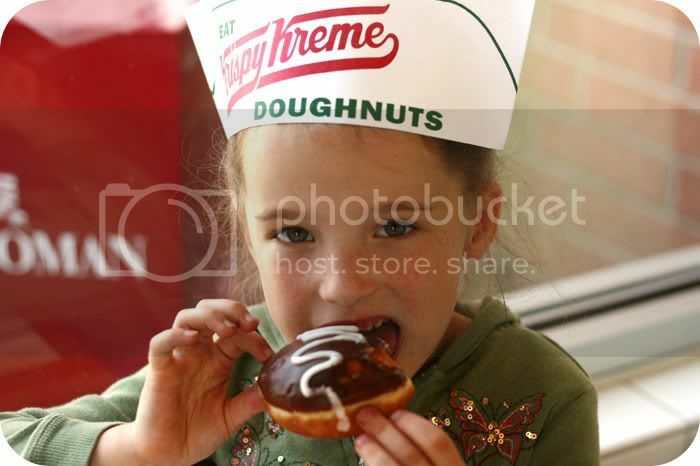 And I am so jealous of the Krispy Kremes...they closed ours down! I'm so glad to hear Savannah is doing some better! We'll keep praying for her. Looks like a fun weekend! Thanks for sharing. Happy painting! My oldest went through something similar when he was seven. For a year or more he would throw up almost every morning once or several times. It worried me very much. I was a nervous wreck! It is very hard to see your child suffer. It ripped my heart to pieces every time. I would cry and pray and then pull myself together and try to be strong for him all over again! The doctor blamed it on a nervous stomach and gave him some syrup and suppositories to take when needed. I had to wake him up an hour early every morning to give his syrup before he ate breakfast. It was a very traumatic experience, my heart goes out to you, Kasie. Tylor is doing fine now, and I am extremely thankful for that. How wonderful to hear that Savannah is improving. I will continue to pray for her and your family. Looks like you had a perfect weekend. 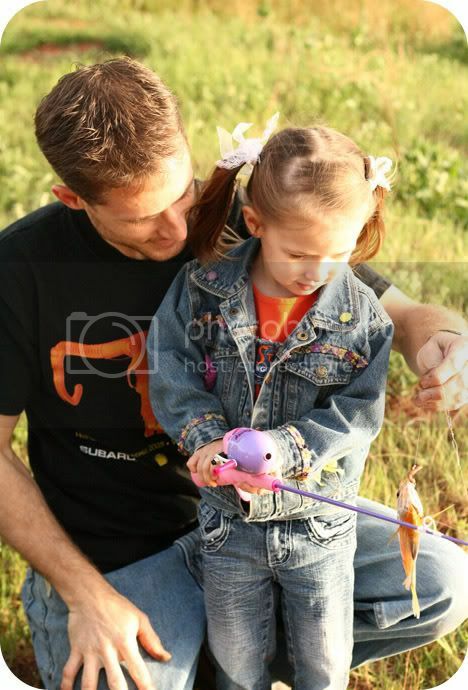 Troy and I used to go out in the boat and fish all the time. I found it so relaxing. Since having Savanna we obviously haven't been able to go, but when our children are a bit bigger we will be able to get back on the water and enjoy this as a family. 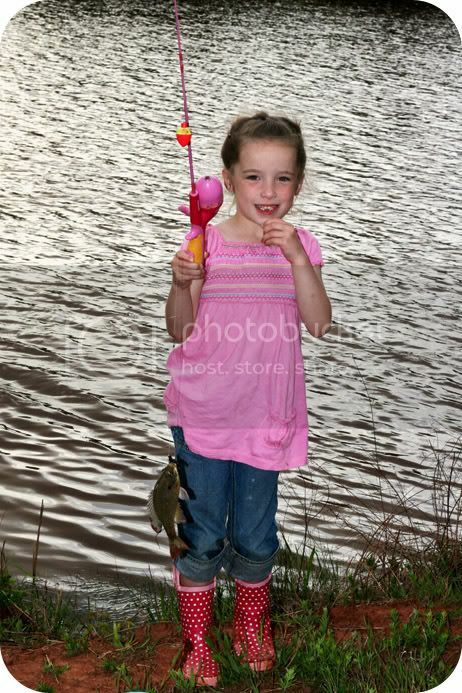 How lovely to be able to take your girls out fishing and it looks as though the fish were biting.